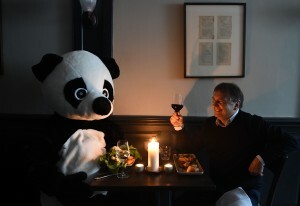 As a member of the Sustainable Restaurant Association (of our which our very own Raymond Blanc is President we are proud to be be supporting WWF’s Earth Hour when, at 8.30pm on the 19th March, we will be joining The London Eye, Big Ben and homes and businesses across the world in turning off our lights to celebrate our beautiful planet. On this special occasion you can enjoy dining by candlelight in one of our beautiful brasseries and become part of the biggest Earth Hour to date with over 172 countries taking part and more than 10 million people in the UK participating. Book your table today, we look forward to welcoming you.